The Etyk is one of those rare cocktails that are Parfait d’Amour based. It’s got an equal amount of vodka, but in terms of flavor, the Parfait dominates. Parfait d’Amour can vary in flavor, depending on the brand, so it’s hard to predict what this drink will taste like. However, the two dashes of grenadine add a strong fruity note, and the milk mellows everything out and marries the other ingredients. Note that no specific measurement is given for the milk. 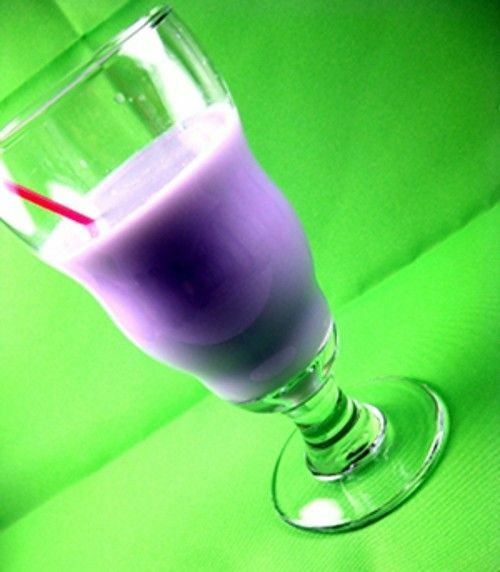 You can add as much or as little as you like, depending on how creamy you prefer the drink to be. Fill a cocktail shaker with ice. Pour in all the ingredients, and shake until chilled.